Well, jazz fans, it's been quite a while. Sorry for the long absence, but I've been working on several big projects in the past year and I somehow couldn't find time to feed Gems. But with the holiday season upon us and the New Year looming, I'm going to try to get back in the groove. So best wishes to all for a Merry Christmas (as Mr. Trump would have it) or a happy holiday season, whichever you prefer. 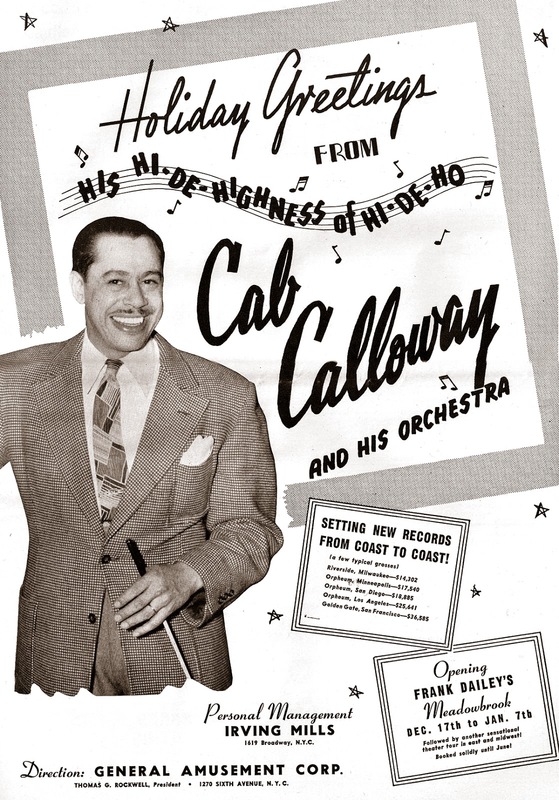 My New Year's resolution – more great downloads on Gems of Jazz! 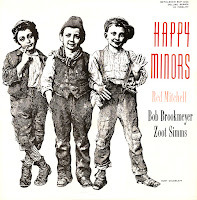 Here's an EP you don't come across every day, and I don't believe its music has ever been reissued on CD (isn't everything on CD these days?). 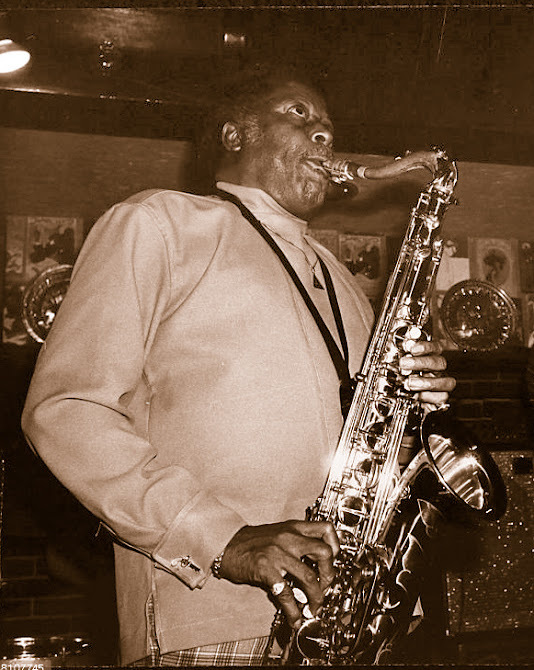 Contained in this offering are some of the very earliest recordings by Eddie Davis and Morris Lane, two tenor players who were renowned for their fatback, honking sound in the days just before rock 'n' roll burst on the scene and spoiled everything. 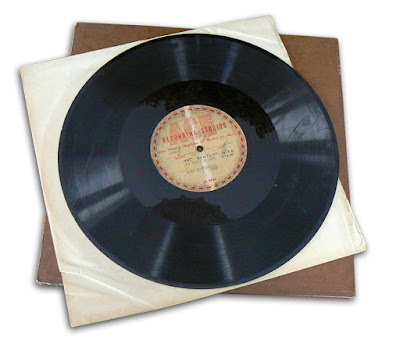 These sides were originally recorded for the Lenox label, 78 rpm shellac discs that were issued at a time when long playing records were on the horizon. 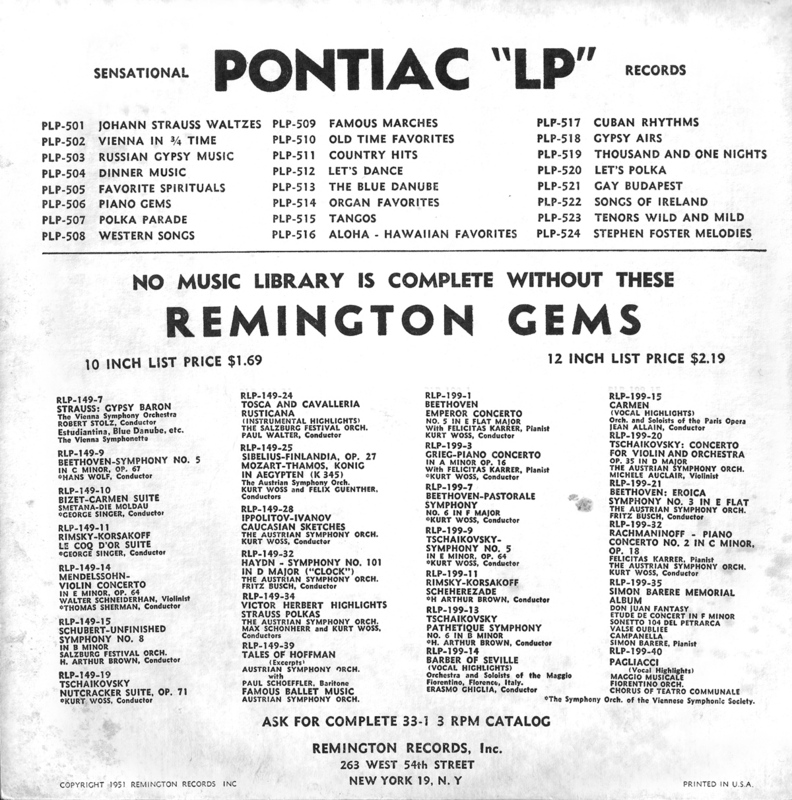 Lenox was an imprint of Continental Records, a division of Remington Records, and they were eventually reissued in long-playing form on the parent label. 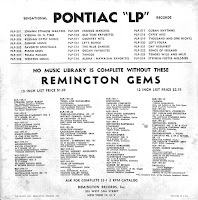 For some reason, they also were released (with corrected titles) on a sort-lived Remington subsidiary named Pontiac. Confused? Me, too. But that's the release that we have here, and I gotta say, for a cheapo budget album, this one was in pristine condition. I don't think it had ever been played. Morris Lane in flight with the Hampton orchestra. So here's Jaws before he'd acquired his nickname, blowing with Johnny Acea on piano, the great Gene Ramey playing the floor fiddle and Butch Ballard on drums. As you might expect, he plays rough, big-toned tenor, simple and melodic on the ballads, hot and aggressive on the up-tempo numbers. The real revelation, though, is the Morris Lane selections. I'd always thought of him as an unremarkable horn man in Lionel Hampton's orchestra from the 1940s and '50s. But here he plays with real verve and command – no honking or walking the bar. The band behind him is unknown, which is unfortunate because the trumpet, trombone and piano players are all excellent. Can you tell who the trumpet guy is? He sounds familiar, and a Gems of Jazz no prize to whoever can name him (or her?). There's a vocalist, too, probably one of the band members, and check out "Big Trees." 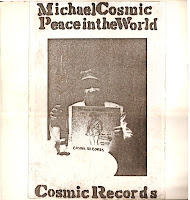 It's weird enough to be one of Sun Ra's early R&B records. 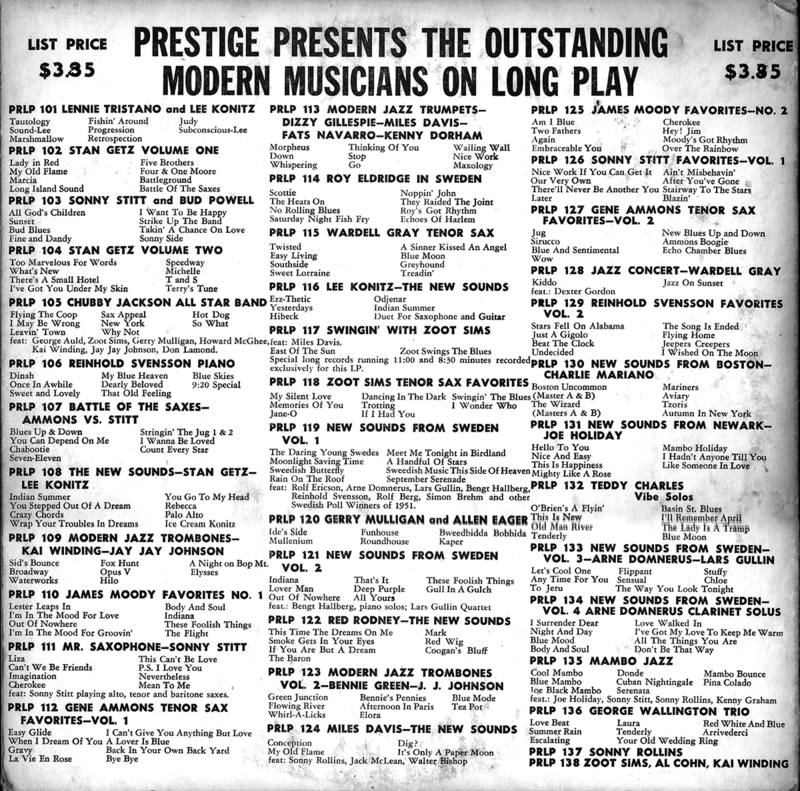 So here are eight selections from 1947-48 of two tenor players, one well known, the other not so much. There's surface noise, but I believe it was there in the originals, and I don't think it will trouble you much. I cleaned it a bit, so not to worry. These are also wav files, so you audiophiles should be happy. 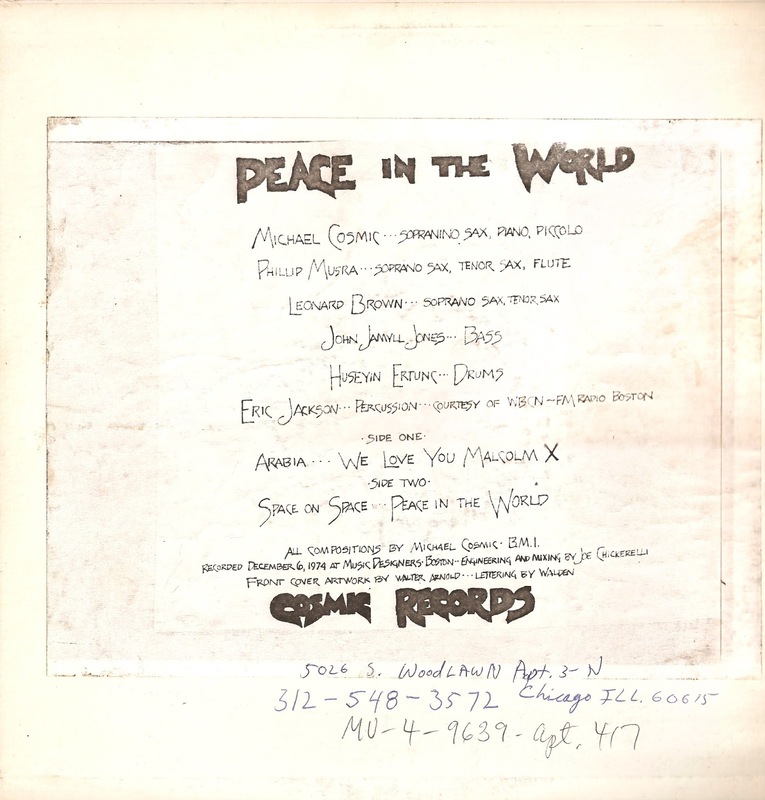 From the original vinyl as always, gang (although in this case I think it's probably styrene). *Eddie Davis, ts; Johnny Acea, p; Gne Ramey, b; Butch Ballard, d.
**Morris Lane, ts; unk. 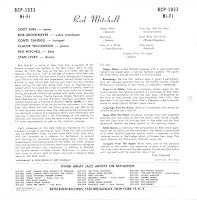 tp, tbn, p, b, d, v.
I don't know much about Red Mitchell. I have his Atlantic record with Harold Land and some stuff that Harry Babison recorded with him privately, but that's about it. So I was happy to find this EP in a lot I picked up on eBay a few years ago. 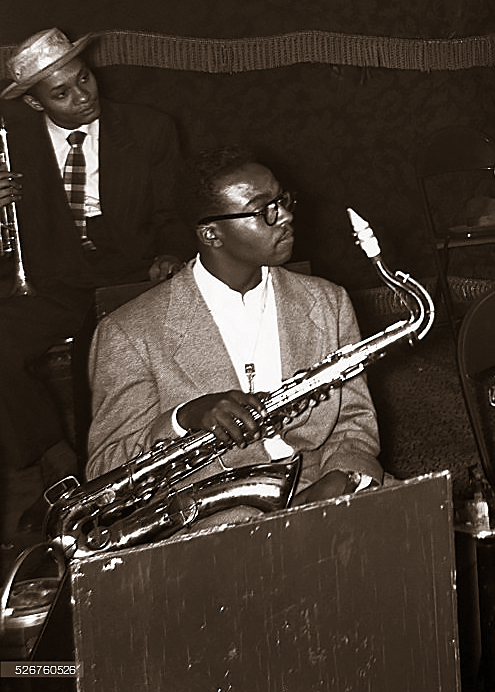 It's one of Red's few recordings under his own name, and it's a fine example of West Coast jazz from the period. 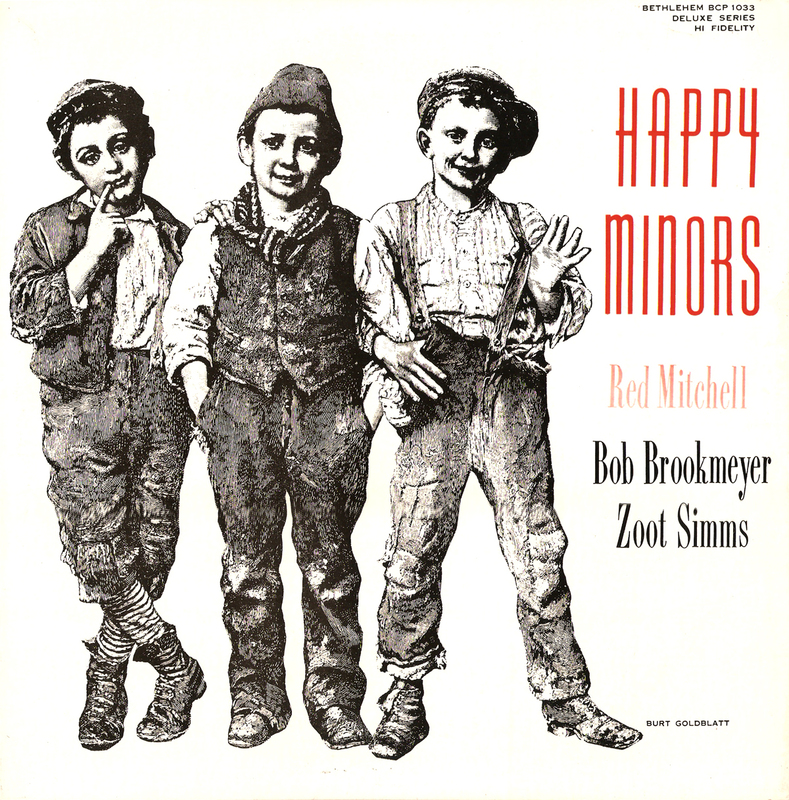 Born Keith Moore Mitchell in 1927, Red came from a musical family. 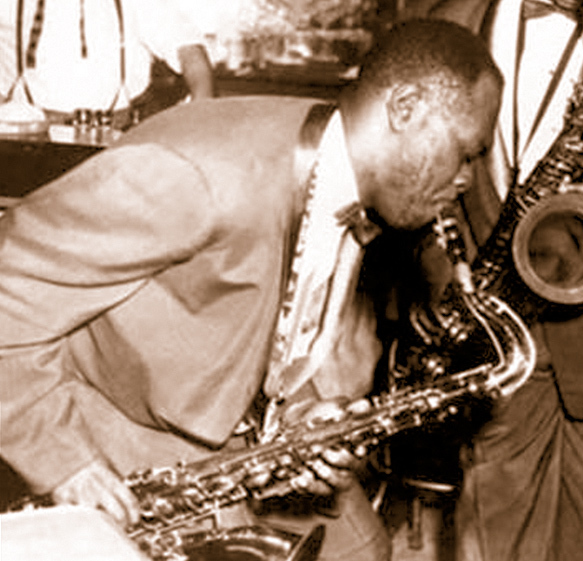 His younger brother, Gordon "Whitey" Mitchell, was also a bassist. 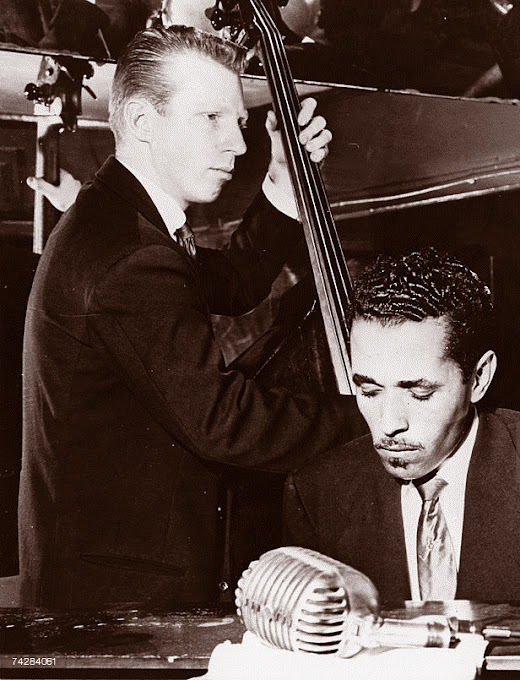 Red was a native New Yorker and started playing the stringed instrument late – after a stint in the army during World War II. 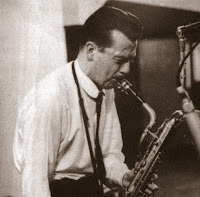 He began his career working for vocalist Jackie Paris, and then moved on to gig with Woody Herman, Charlie Ventura, Red Norvo and eventually Gerry Mulligan's piano-less quartet. Here he's in a more conventional setting, with the standard rhythm section and front line. 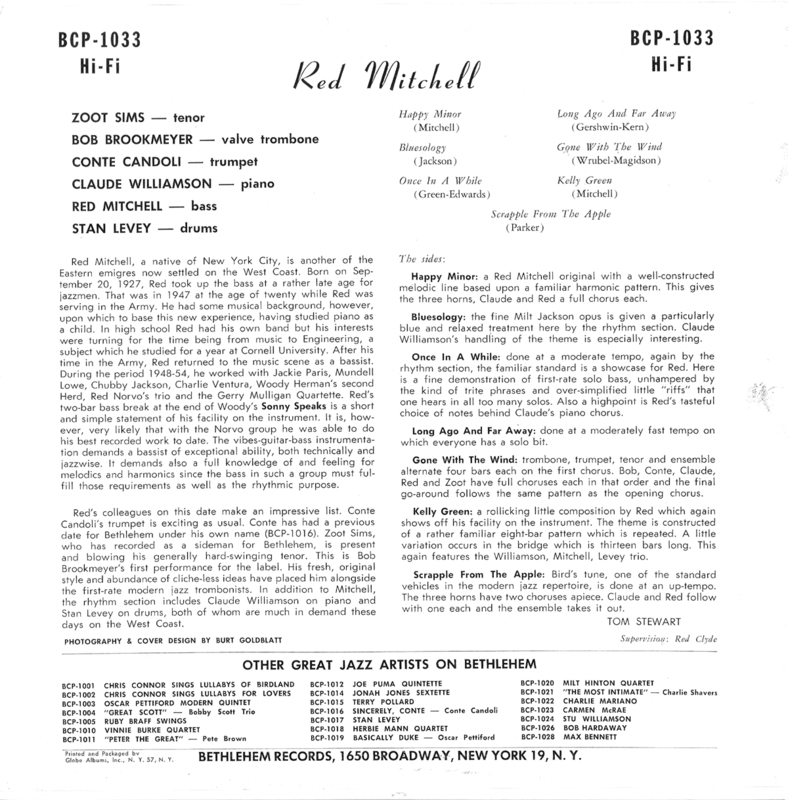 But the music is well-played and convincing, and Red gets in a few very nice solos. 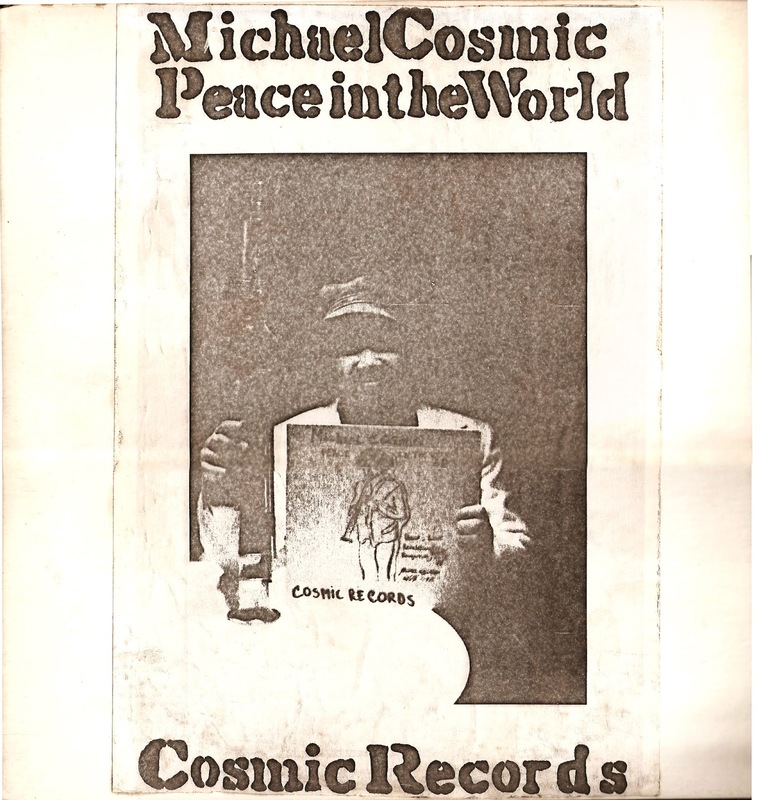 As always, these files have been dubbed from the original 10-inch vinyl, and they are hi-res as requested by one visitor, so they'll take a bit longer to download. Patience has its own reward! Claude Williamson, p; Stan Levey, d.
Sometimes an artist can have too much talent. Virtuosity can be a trap, creating a never-ending spiral of expanding expectations. The virtuoso's fans say, "Wow! That was amazing!" Then they say, "Amaze me again!" Each new performance brings expectations that have be exceeded to be met. And exceeded again. 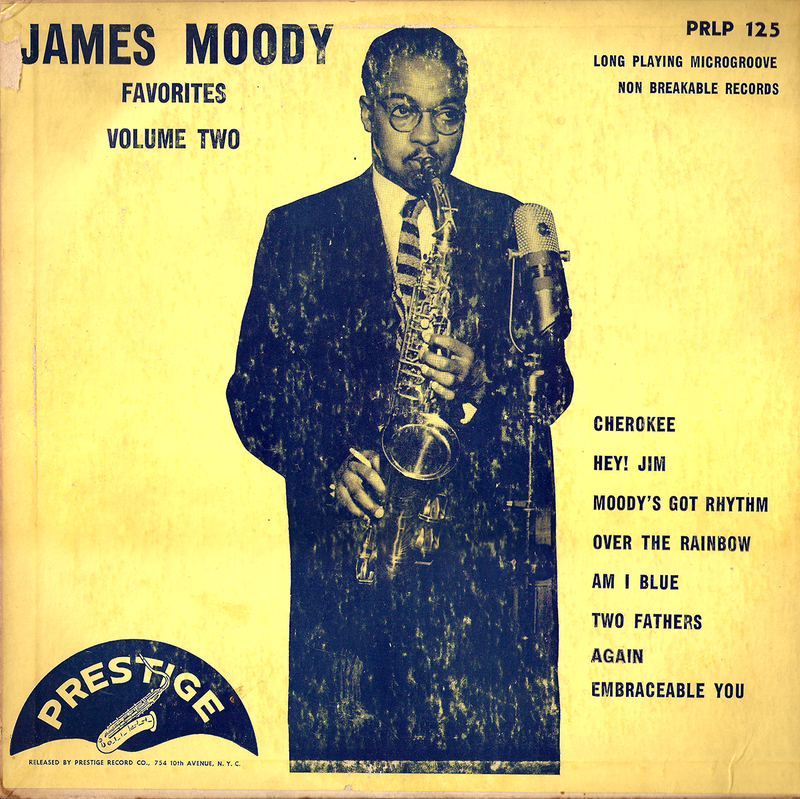 It seems like James Moody got caught early on in this cycle, at least in the recording studio. 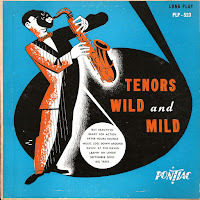 I have countless records of Moody blowing wild-and-crazy solos with nameless rhythm sections. It's usually the theme, five solo choruses, theme again and out on these sides. James was such an extraordinary soloist that record producers tended to just put him in front of a microphone and let him blow. There was little concern for the artist's development, for his interaction with the other players in the band, for moving the music forward. It's almost as though Moody became a trained seal, a novelty act. Of course, defaming James' artistry by trivializing it as mere exhibition is more than a little elitist – and maybe even a little racist. 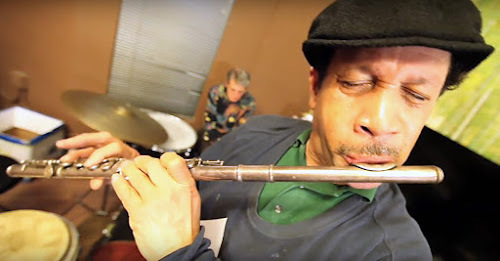 This guy could play, and he had ideas to spare, at least when it came to filling a chorus. His fans knew it, and that's why his records sold like hotcakes – and why producers had him make endless more. The one place where Moody avoided this trap was, oddly enough, in Scandinavia. James Moody left the States in 1948 for Europe. He spent much of his time in Sweden, and there he found musicians sympathetic to the new music that he was playing. Stockholm had boppers like baritone saxophonist Lars Gullin, alto player Arne Domnerus and pianist Rolf Larsson, and they wasted no time getting into the studio with Moody for a series of very fine recording sessions. 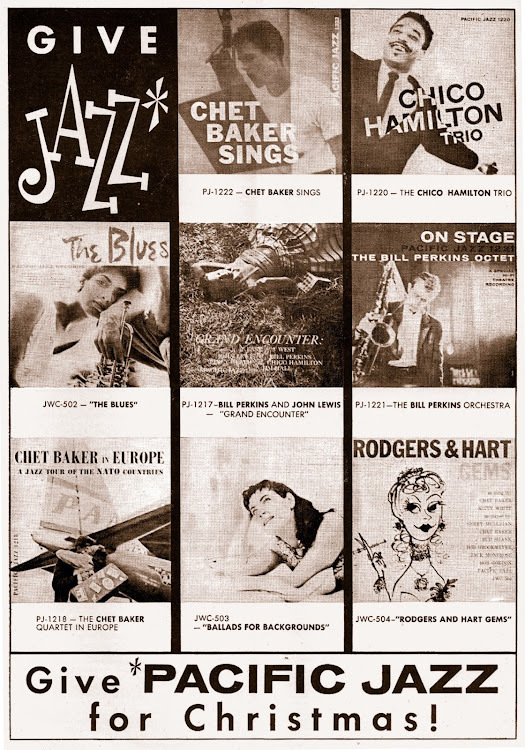 One of the tunes Moody tossed off during these dates was "I'm in the Mood for Love," which, as we all know, became the smash hit "Moody's Mood for Love" in the USA when King Pleasure got hold of it. Moody's Swedish sessions aren't too hard to find these days if you look, but when I was coming up they were like hens' teeth. That's why I was delighted to come across this posting's download. 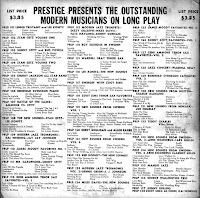 Vintage Prestige EPs are as rare as their counterparts on Blue Note, and almost as fervently sought. This one turned up in what I can only think was a former DJ's record collection, judging by how many promotional copies it contained. The records were all in well-used condition, but this Moody album was slightly better than most. I have cleaned up the sound, removing many clicks by hand, but CD quality it ain't. If you can stand a little hiss and an occasional click, I think you'll find this a very satisfying listen. 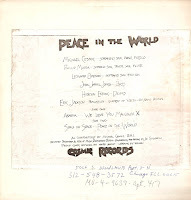 And, of course, I don't need to say the files came from the original vinyl (although I just did!). Dig! Rolf Larsson, p; Gunnar Almstedt, b; Anders Burman, d; unk. strings. Sixten Eriksson, tp; Lars Gullin, bar; Rolf Larsson, p; Gunnar Almstedt, b; Jack Noren, d.
Thore Swanerud, p; Yngve Akerberg, b; Sven Bollhem, d.
Leppe Sundwall, b tp; Arne Domnerus, as; Carl-Henrik Norin, ts; Lars Gullin, bar; Rolf Larsson, p; Gunnar Almstedt, b; Anders Burman, d.
By now you've all heard about the passing of writer, columnist, critic, producer and activist Nat Hentoff. 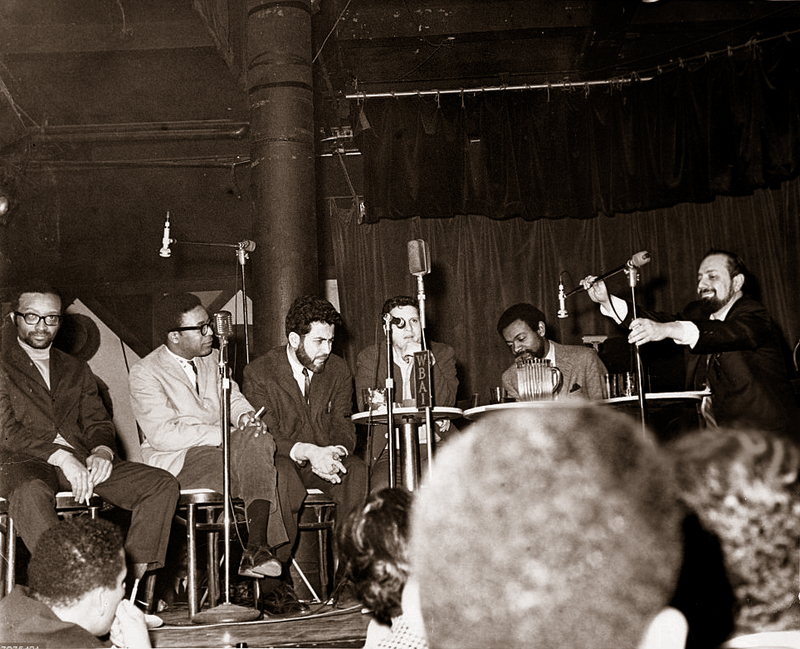 At 91 years of age, Brother Hentoff had plenty of time to make his mark, and he did so not only in jazz but also in civil rights, politics and other relevant fields. I don't need to tell jazz fans about his contributions to the music. I'm sure nearly all of us has at least one of his volumes about the art on his or her bookshelves. I started with "Hear Me Talkin' to Ya," an oral history the then 30-year-old Hentoff put together with Nat Shapiro in 1955. It was not only an excellent introduction to the music and its players for a callow youth such as myself, but it was also a great read. So here's a tribute to the great scribe, something that I came across about a year ago in one of my forays into the Hudson Valley's collection of second-hand stores and thrift shops. 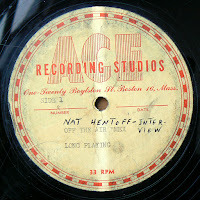 It's a steel-backed acetate disc, the kind I've featured on this blog before, usually in the form of home recordings. This one, though, is a professionally made audio transcription of a radio broadcast. 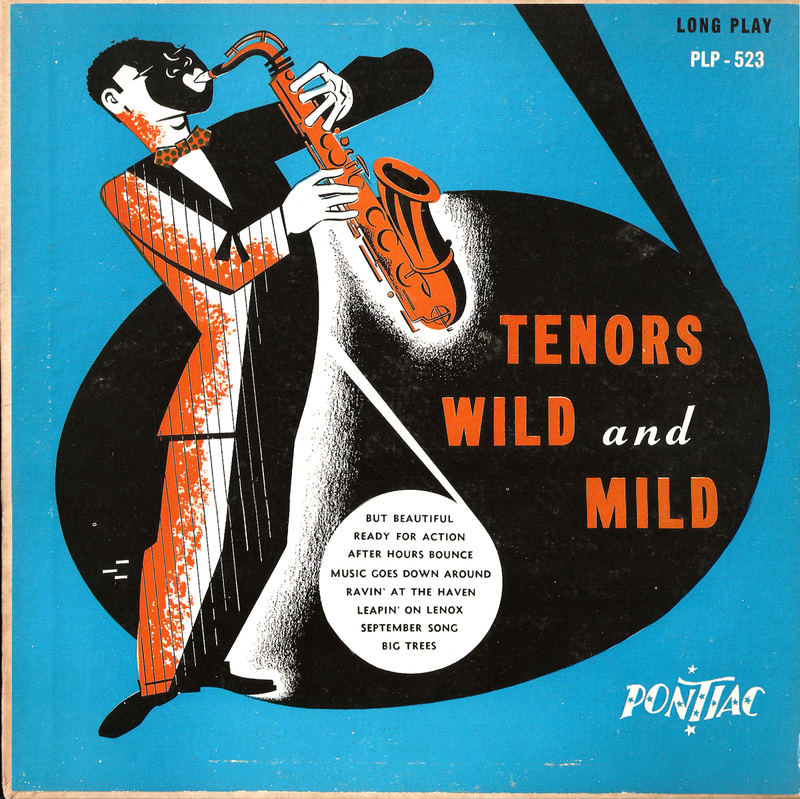 It was cut by Ace Recording Studios in Boston, probably in mid-April of 1952, and captures a 30-minute program hosted by a young, soft-spoken DJ. That DJ? 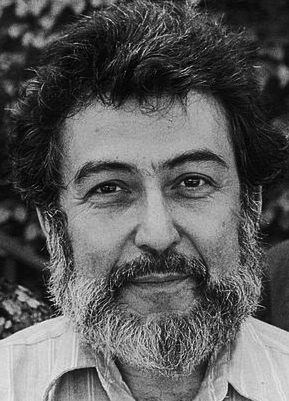 Nat Hentoff. 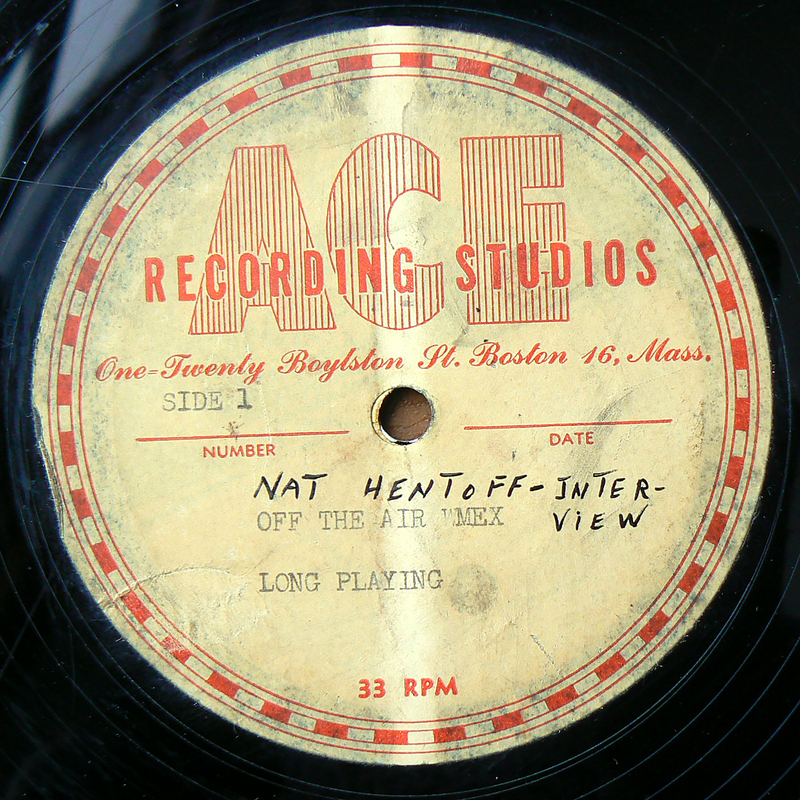 Yes, this offering is a transcription of Hentoff's jazz radio show, "The Record Album," heard on WMEX-AM in Boston. It's marked "Interview," and when I found it I was hoping that it would have Hentoff conversing with a giant like Duke Ellington or Count Basie or maybe even Dizzy Gillespie or ... gasp! 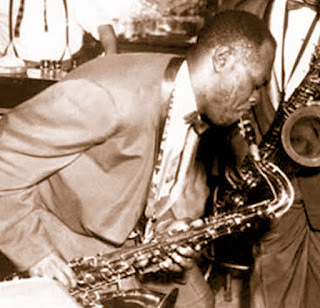 ... Charlie Parker. But it turned out that the featured guest was one of traditional jazz's often overlooked re-creators, trombonist Wilbur DeParis. I was disappointed, I confess, but then I listened to the interview. Mr. DeParis was an erudite, perceptive, articulate gentleman whose views on jazz were much closer to my own than I would ever have suspected. I also realized that this is very likely the only audio interview with DeParis that has survived, so that alone makes it special. I have no idea what the provenance of this disc may be. Did it come from Nat's personal collection? From a purging of the WMEX archive? We'll never know. But it's a marvelous period piece from early in Hentoff's remarkable career, and it captures the sound of live radio from back in the day. The record store ad that Nat delivers to open the show will definitely have collectors salivating. If only we could make it on down to the Book Clearing House on Boylston Street for a bagfull of those albums selling for less than a buck each! A word of warning about the sound: This disc has been seriously mistreated over its six decades of existence, and the sound is hissy, scratchy and clicky throughout much of the conversation. But the words are clear and there are no skips or dropouts. It's worth a download, if only to hear once, because it's a sliver of jazz history and because it's Hentoff. Nat mentions the DeParis brothers' version of "When the Saints Go Marching In," and I've added their studio recording of it below, just to give you a little music to go with all the words. As always, these files come straight from the original disc to your ears!